As soon as the 30’s, there have been stories of Hitler having Jewish ancestries published in newspapers. And these newspapers were of course owned by Jewish leaders. So, Jewish leaders revealed that Hitler was a jew. Why did they do this quite incredible thing? At first sight, it seems stupid. If he was really a jew, they didn’t have any reason for telling it. If he wasn’t a jew, there was no reason either. Why invent such a story? My opinion is that those informations were not intended for gentiles, but for everyday jews. It was an internal communication plan. 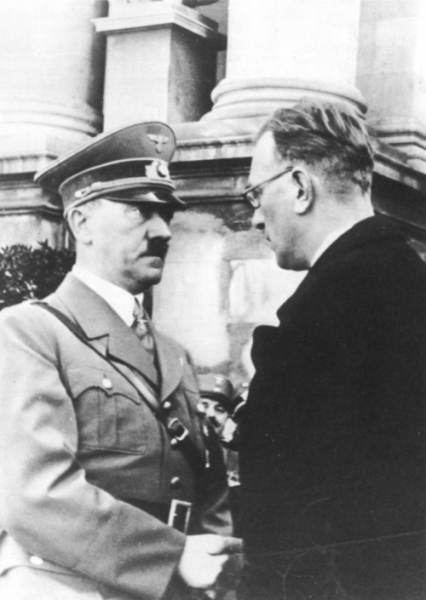 The problem for Jewish leaders was the following: as Hitler was a jew (and 100 % Jewish, so, with a Jewish father and a Jewish mother), it was certainly well known among the jewish community. Jewish leaders couldn’t hide this. There were certainly rumors about this among the Jewish community. So, quickly, ordinary jews could have been able to connect the dots, and then to understand that their leaders were betraying them. It would have destroyed the great unity between everyday jews and their leaders. This would have been apocalyptic for these. Thus, Jewish leader absolutely needed to deceive ordinary jews about Hitler’s Jewishness. As jews knew that Hitler was Jewish to some extent, Jewish leaders couldn’t say that he wasn’t Jewish at all. Everyday jews would have known it was a lie. 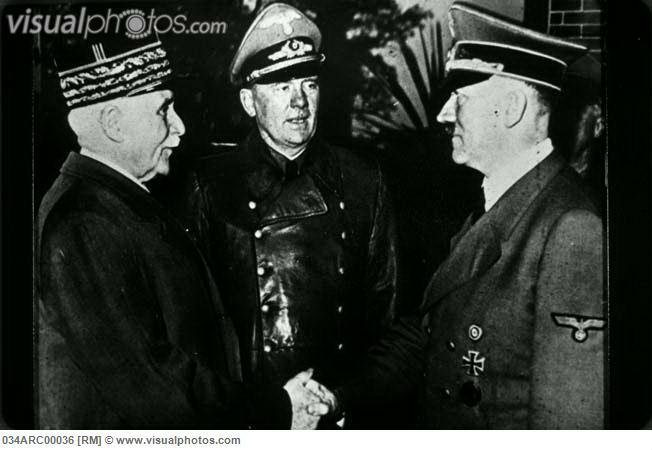 So, Jewish leaders had to recognize that Hitler was indeed a jew, thus confirming what jews already knew (that is, the part of the story jewish leaders couldn’t hide). But the deceiving part was to add that he was just quarter jewish (whereas he was most probably 100 % jewish). So, Jewish leaders couldn’t say that he was 100 % jewish, nor that he was 50 % jewish, because the self-hater aspect wouldn’t have been credible. He would have known from the beginning that his mother or his father was Jewish. So, he wouldn’t have got any special reasons to be a self-hating jew. And of course, the idea that he became an anti-Semite by the hazards of existence, without knowing he had Jewish ancestries, would have been even impossible. And in the mind of jews, it would have meant that most probably he was “one of them”. So, his anti-Semite policy would have been more difficult to explain. 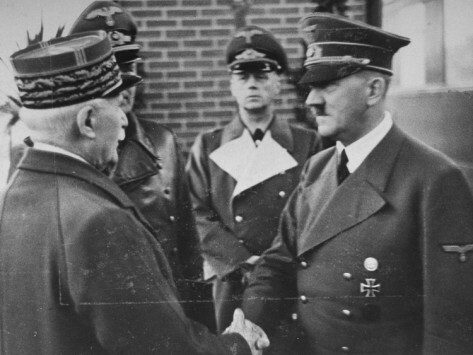 Jews would have been much more prone to think their leaders were betraying them. They couldn’t say either that he was just 1/8th Jewish, because jews would have probably known that he was more jew than that. So, it wouldn’t have been credible enough concerning what jews already knew. Some would have suspected that their leaders were still lying to them. And again, the self-hater aspect would have been less credible. 1/8th Jewish, it begins to be too distant to justify self-hate. It would have meant that just one of his great grand-parents was a jew. It’s too distant to give a feeling of threat. It would also have been too distant in the past to be fully credible. 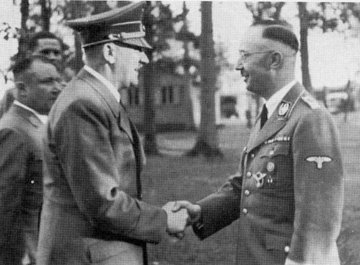 The events regarding the birth of Hitler’s great-grandfather would have taken place in 1800 or 1790. 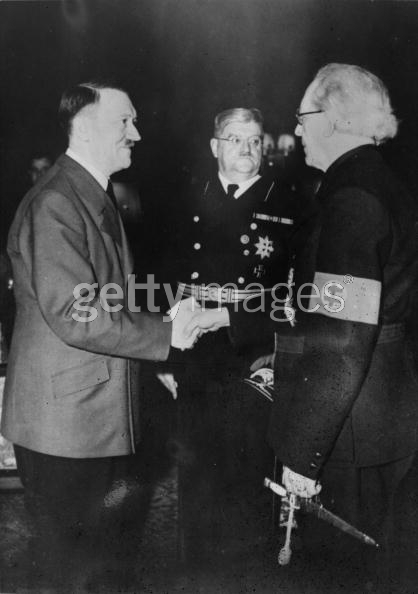 And as Jewish leaders wanted to give a shady part to the story in order to make it quite unverifiable (the doubt about the real identity of Hitler’s grandfather), it would have been too shady. 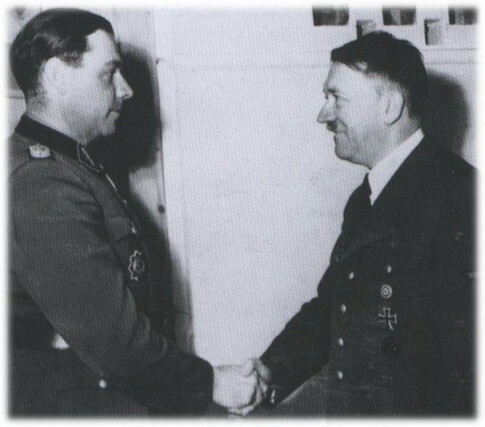 The doubt would have then been on Hitler’s great-grandfather, a guy who would have lived between, let say 1760 and 1820. It would have been too far in the past. 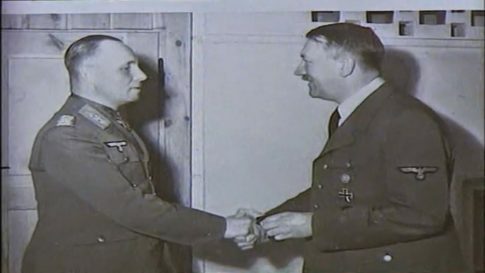 Most people already have big doubts about the story of Hitler’s grandfather. If the doubt had been on Hitler’s great-grandfather, it would have been too much. Nobody would have bought this story, not even jews. However, there would have been no problems with the part of the story saying he became an anti-Semite because he didn’t know his ancestries at all. So, he absolutely had to be just quarter Jewish, no more, no less. 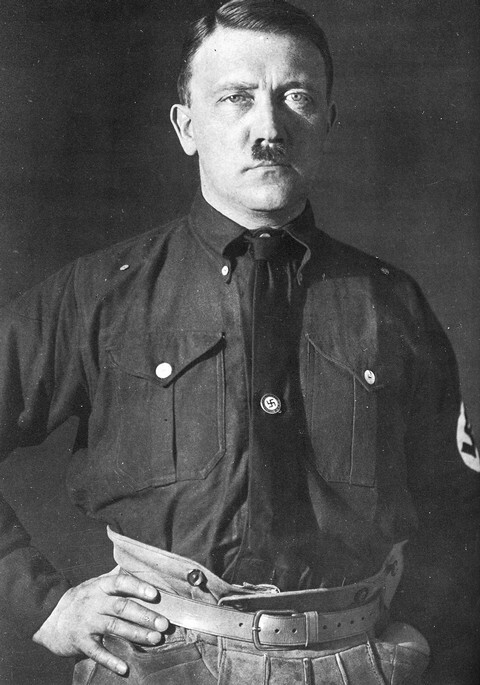 Then, the Jewishness of Hitler was strong enough to confirm the rumors that were spreading in the Jewish community. 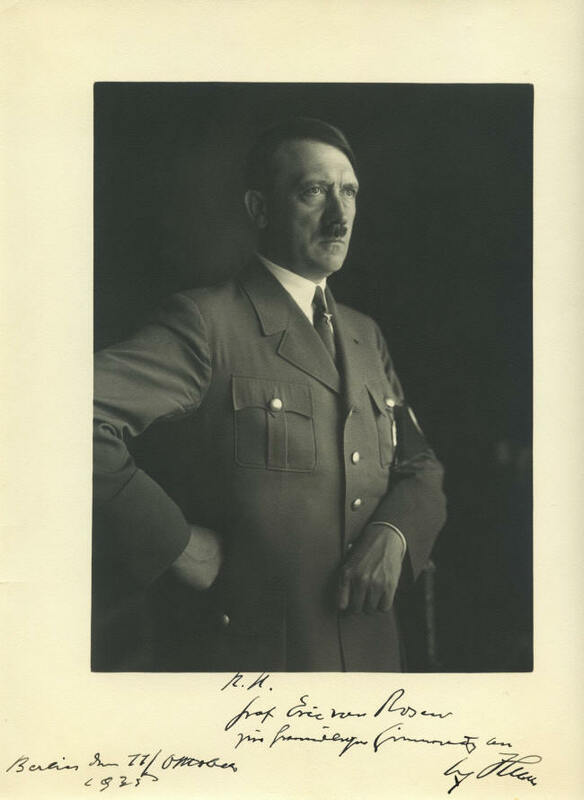 Because of the shady part about Hitler’s father birth, Jewish leaders could still say that Hitler didn’t know that he was a jew, and so, that he was able to become an anti-Semite without any guilt. And if they wanted to add a self-hater aspect to the story, it was credible, because his Jewishness was far enough to be ignored by him during all his youth, and close enough to affect him when he would discover it. The story of the grand-mother of Hitler having a child in shady circumstances was also invented to give the feeling that Hitler’s origins weren’t clear. So, the fact that he didn’t know this when he was young becomes logical. It gives credibility to the idea of a psychological choc when he discovered the thing, and after that, the self-hater side. If he had got a stable family, it would have been more difficult to hide the fact that he had a Jewish grandfather. So, the story of Hitler being the grandson of a Rothschild or of the Jewish merchant Frankenberger is a lie. A lie created by Jewish leaders. 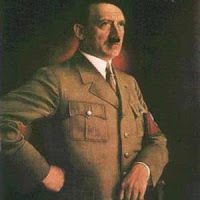 But a lie created in order to hide the fact that Hitler was indeed 100 % Jewish and working for Jewish leaders. Of course, there are several versions of this story, in order to introduce even more confusion. And of course, now that those stories are gaining momentum with Internet, they are debunked (this was ordered by Jewish leaders). Thus, Jewish leaders are able, depending on the public who will read the story, to sustain or to debunk this theory. 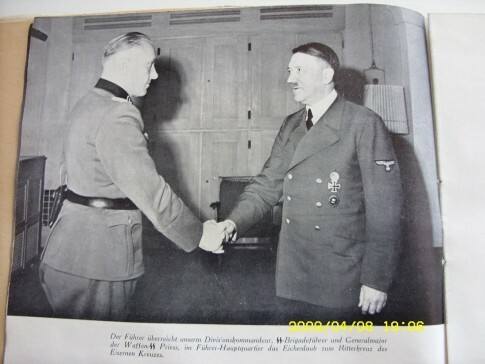 Most of the time, as the public is mostly constituted of gentiles; they will finally debunk the story, in order to make people still believe to the official story (Hitler being a gentile nazi). It’s also aimed at jews who are not well informed (they are many). But the debunking is never complete. 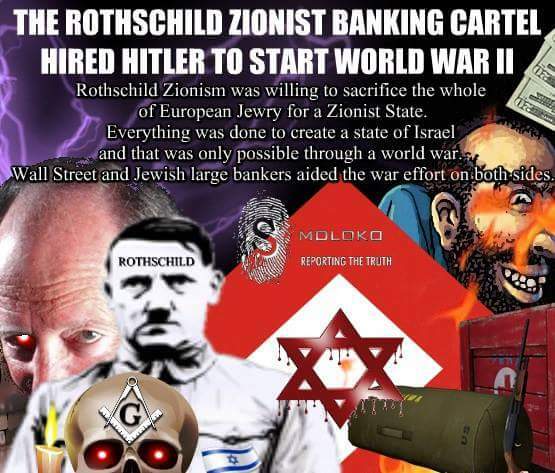 Thus, there is always a possibility for the most conspirationnistes to still believe the version of Hitler being quarter Jewish. For the moment, it’s impossible to know from which Jewish family Hitler really came. But it’s not very important. The important point is that he was a 100 % Jewish. And we know that just by understanding his role and the one of Jewish leaders in the entire World War II affair. 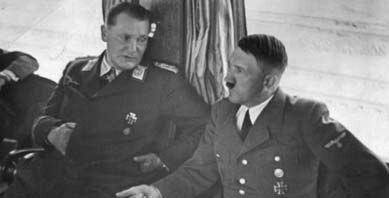 So Hitler was not 1/8th, not quarter, not half, but 100 % Jewish. 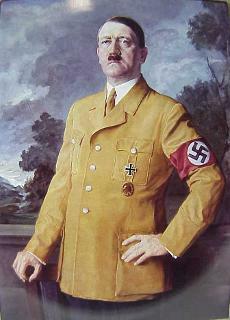 Probably, he was a member of a rich Jewish family and had been educated in the best schools to become a leader. PS: The good thing for Jewish leaders is that the shady details of this story push gentiles to think that it’s phony and that Hitler was 100 % a gentile. 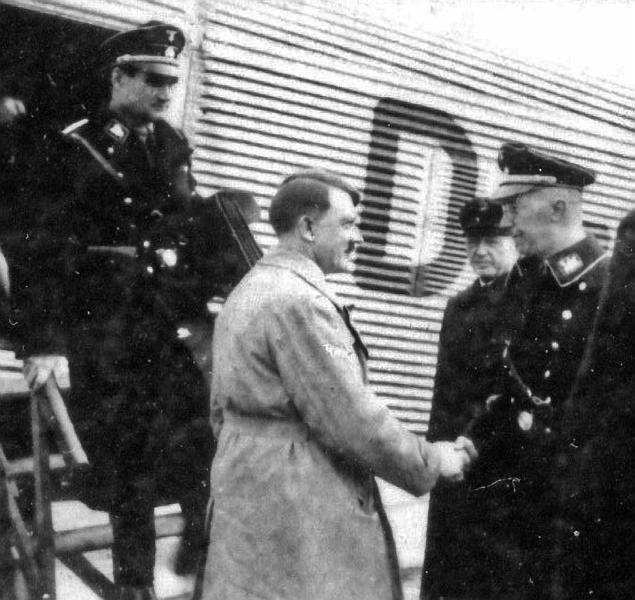 Another good thing for Jewish leaders is that it allows them to introduce confusion and to deceive gentile nationalists about Hitler nowadays. Gentiles come to think that all those revelations are false, since they come from jews (at the beginning, and even now). And indeed, they come 99 % of the time from jews or crypto jews. Of course, fake nationalist leaders don’t stop using this argument. 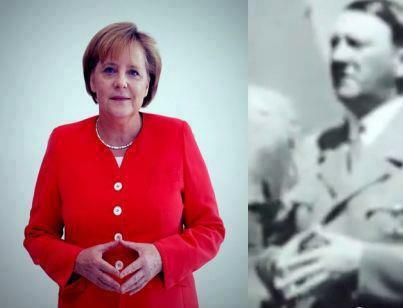 Adolf Hitler has been a Freemason and an Illuminati (Rothschild and the other 12 elite families) puppet from the start. 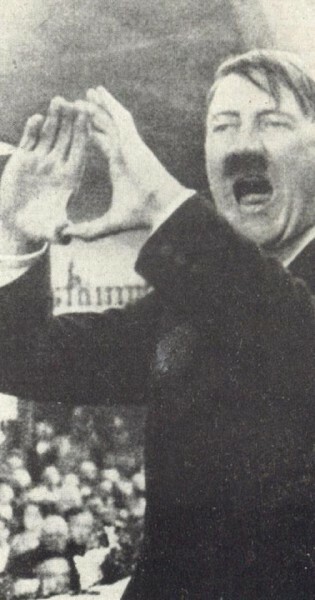 Down below you’ll find more masonic handshakes/signs and Illuminati hand signs by Adolf Hitler. WW2 has been a staged event. Stalin, Roosevelt, Churchill have also been Freemasons and Illuminati puppets. Obama, the Bush’s, the Clinton’s, Cheney, Trump, Gorbachev, Putin, Xi Jinping, Merkel, May, Cameron, Brown, Blair, Sarkozy, Hollande, Macron, etc. TPTB have WW3 planned for us. Hitler hired Hjalmar Schacht to run the Reichsbank. 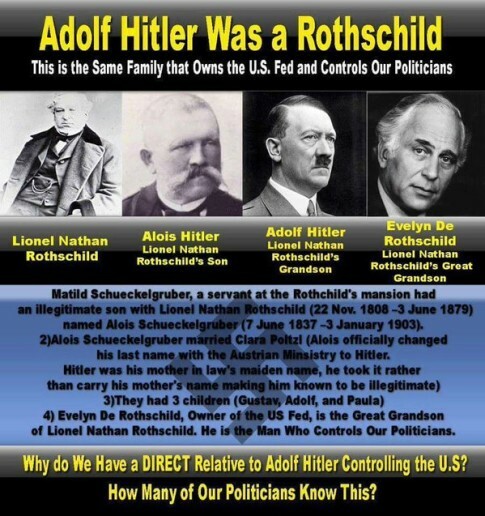 Now look up who created the BIS, the central bank of central banks!! !